From Harbeth to Tannoy in a 15' x 9' room? I immediately thought the Stirlings would be best as they're the smallest but the above thread seems to suggest any of them could work. I also notice that many people have them very close to rear walls, which is encouraging. I fire my Harbeths across from the long wall with about 40cm behind them and would be looking to do roughly the same with Tannoys if I do go for some. I tend to play predominantly acoustic music at lowish levels most of the time and don't crave seismic bass. Most important is midrange naturalness and a good sense of musical flow and communication with no grating harshness. Would be good to hear a pair sometime if possible, also I'd like to get an idea of price to pay. There seem to be so many models (TW, HE, SE, GR...) I don't know where to start or what to look for. Here's a few shots of the room to give an idea of the space available. The tape on the floor marks out the footprint of a Tannoy Stirling. I wonder if room acoustic panels might be useful, especially considering the narrow 9.5 width. Not that I have knowledge myself, but just after reading so many threads on the subject. Might be worth getting an assement done, especially with so much invested in the gear and given the importance of music in your life. I used to have the speakers firing down the room with a few feet behind them but about 12" from the side walls. Either way sounds good, I find. But I do prefer the look having them positioned as they are. 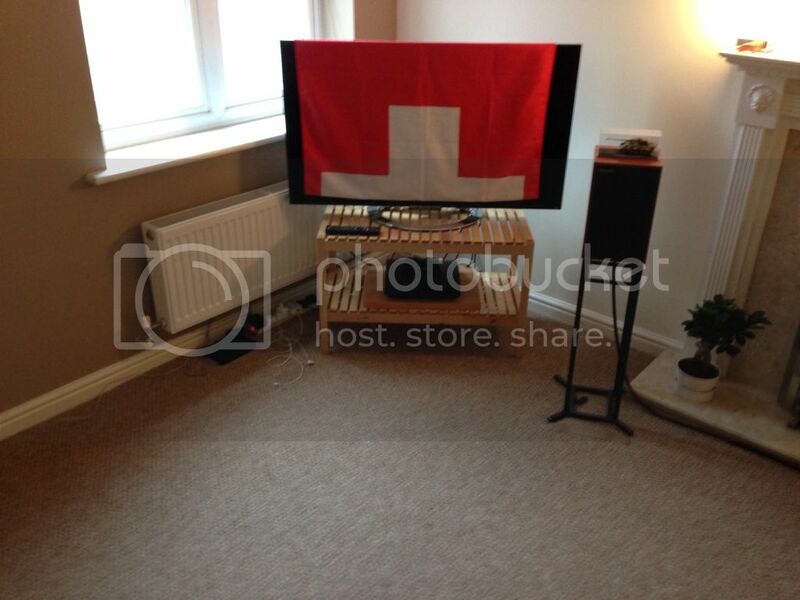 I rarely use the TV, so I could quite happily move it round a bit if it would help accommodate new larger speakers. I recently read on another forum about a guy pairing the Sterlings with an ICON stereo 60 MK III and was very pleased with the result.... don't know what size room he had though. My 15W EL84 Leben is very nice with my Harbeths which are much lower sensitivity than the Tannoys. I can't see any problems using lower powered amps with Tannoys in theory, particularly as I don't tend to play music very loudly. Greg, also remember you will require more model tanks if you upgrade your speakers to something larger- so factor this when budgeting for your Tannoys. Am now focussing on the Turnberry SE more. They seem to be a better design than the Stirling SE but larger than the Sandringham SE. Wonder if there's any chance of hearing a pair? 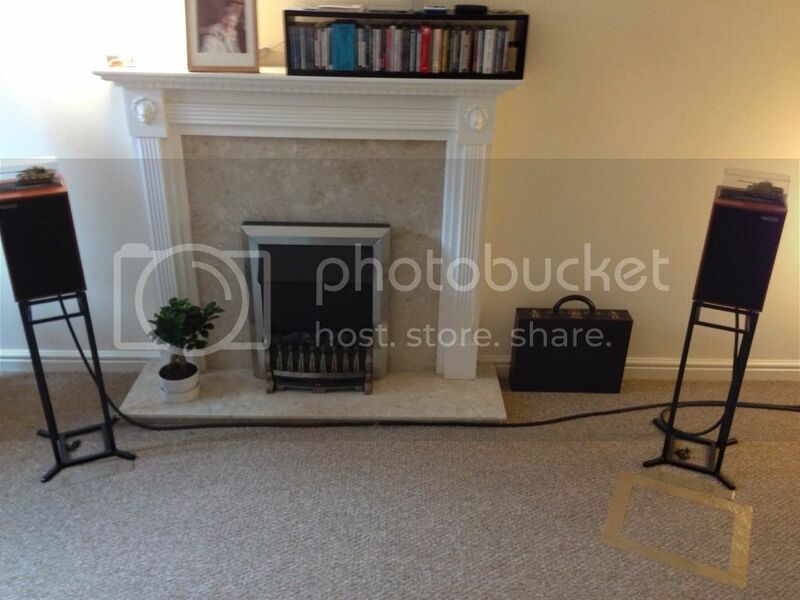 I don't know so much about the newer Tannoy models, but vintage 12" & 15" Tannoys work fine in smaller rooms. My first experience of Tannoys was with a pair of Berkeleys in a small Victorian terrace living room, and they sounded fantastic, and I've had various 12" models that have worked fine in modestly sized rooms. I have used a pair of tannoy 12 inch reds in canterbury cabs in a small study without any problem, as it happens they were driven by a leben 600 when it wssn;t driving harbeth SLH5s. The advantage of canterbury cabs is that they are front/side ported so you can shove them right up in the corners out of the way, on the other hand they are quite pricey nowadays because of all the hype. Have you considered harbeth SLH5s or Monitor 30s BTW if you like the harbeth sound (which I do)? Yes, I've considered the SHL5 and M30 (or SHL5+ and M30.1) and haven't really decided yet whether to abandon Harbeth or not. I do love the Harbeth sound, it's superb but I'm wondering about some more sensitive speakers now. My Leben CS300xs is only 15Wpc and it might be fun to try it with something like a Tannoy. 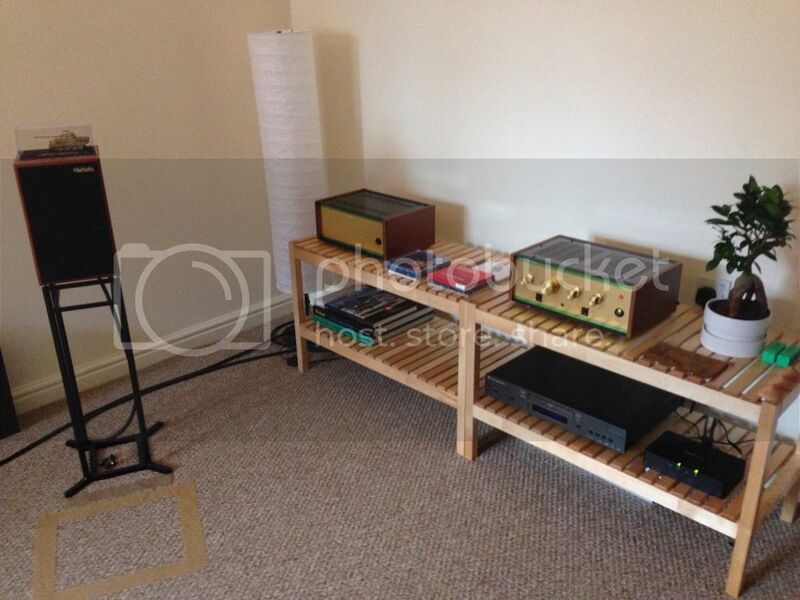 Some audionote E or snell might be better esp considering the room lay out?